Easter is almost here and Telefonika has kick started it’s promotion. The Lumia 530 and 535 (Dual SIM types) are available at a discounted price. 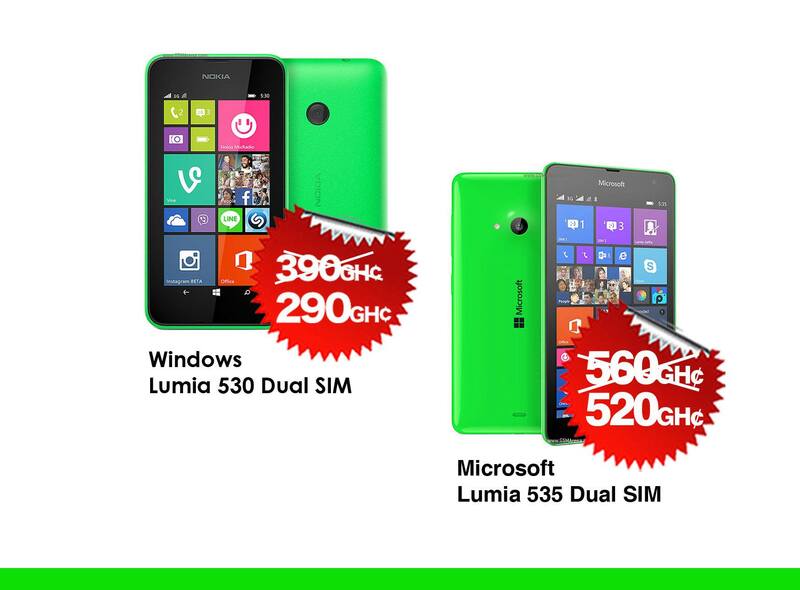 The Lumia 530 is selling at GHS 290 and the Lumia 535 is selling at 520 GHS. There isn’t a duration for the offer, so i believe it’s as stock last and till the end of the Easter season. Hurry to any Telefonika branch near you and get you one, there are prizes to be won when you enter into the mega raffle draw as well.